The innovative IP65 / NEMA 4 enclosure facilitates mounting and minimizes installation costs. It is available as multi-range device with full scale 1,000 Pa (4 inch WC) and 10,000 Pa (40 inch WC). The piezo-resistive pressure sensing element ensures highly accurate and long-term stable measurements. Four measuring ranges (0…250 / 500 / 750 / 1000 Pa or 0…2500 / 5000 / 7500 / 10000 Pa) can be selected via DIP-switches on the electronics board. This makes the EE600 particularly versatile. 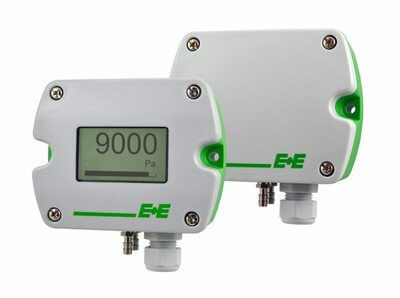 The output signal and the response time can also be set directly on the board. With push buttons, the user can easily perform a zero and span point adjustment.